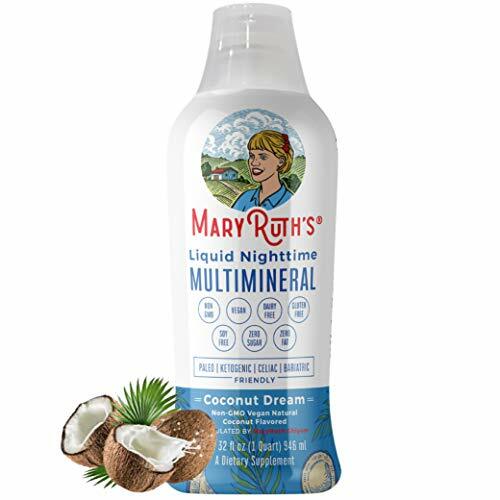 ORGANIC LIQUID NIGHTTIME MULTIMINERAL by MARYRUTH (Coconut) Highest Purity Organic Ingredients, Vitamins, Minerals, Magnesium & MSM builds essential tissue while providing for a deeper sleep. VEGAN GLUTEN FREE & Never Sugar Added! Product prices and availability are accurate as of 2019-04-24 06:07:36 EDT and are subject to change. Any price and availability information displayed on http://www.amazon.com/ at the time of purchase will apply to the purchase of this product. 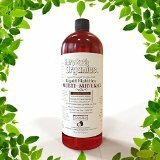 MaryRuth's Vegan Nighttime Liquid Multimineral Benefits Once a day, in the early evening hours or before bed, an ounce of MaryRuth's Nighttime Liquid Multiminerals promotes healthy magnesium levels and balances calcium intake-helping you to feel less stressed and more relaxed. Good health is all about balance. A delicate balance must be maintained between the levels of magnesium and calcium in your body-especially at a cellular level. For example, calcium makes muscles contract, while magnesium allows them to relax. Calcium is needed for blood clotting, but magnesium keeps the blood flowing freely. The good news is your body knows exactly how to create this balance-that is, when it has the right amount of these two fundamental nutrients available. Our bodies were designed to obtain the nutrients we need from the food we eat, including plenty of magnesium. Sadly, most of us (an estimated 80 percent) don't get enough magnesium in our diets, while we often take in an excess of calcium, mainly from dairy products and supplements. When we are under stress, our cells-which in their resting state contain magnesium-go through a change. Calcium, normally outside the cells, enters the cells to create an action state. Nerve cells become excited and muscles tense. When the stress has passed, magnesium then pushes the calcium back out of the cells and everything relaxes. However, when there's not enough magnesium, calcium remains in the cells, prolonging stress and creating magnesium-deficiency symptoms. You experience this as feeling stressed. Cellular magnesium deficiency can also express itself as fatigue and low energy; inability to sleep; muscle tension, spasms and cramps; anxiousness and nervousness; headaches; constipation and abnormal heart rhythms. 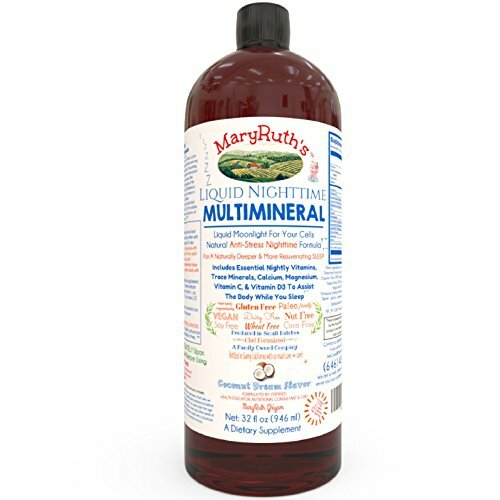 Pure Liquid Multi-Mineral formulated by Certified Health Educator and Nutritional Consultant MaryRuth Ghiyam. The Formula is designed for maximum absorption and assimilation to ensure that your body gets the essential nighttime trace minerals it requires for health. Formulated for MEN, WOMEN & CHILDREN! SMALL BATCHES MADE BY HAND: Family owned and made in SMALL BATCHES in a Certified Organic and Kosher Facility with GMP standards and a Non-GMO environment. Only 200 bottles per batch BY HAND to ensure the integrity of our product. 100% Vegan, Gluten Free, Wheat Free, Nut Free, Soy Free, Dairy Free, NO Nightshades, NO Tomato. 100% FOLATE (not folic acid) *Our xantham gum is a non-GMO, gluten-free, natural fiber. We promise there's nothing artificial about it. CELIAC FRIENDLY, PALEO FRIENDLY, BARIATRIC FRIENDLY MADE w/ CERTIFIED ORGANIC INGREDIENTS & Whole Super Foods: Our liquid vitamins are made with the highest quality Certified Organic Ingredients whenever possible. Benefits include all the essential NIGHTLY Vitamins, Minerals, Antioxidants, Trace Minerals, Magnesium, Boron, & Vitamin D3 your body needs to rebuild and rejuvenate while you sleep. When taken together, Boron and Magnesium assist in calming and relaxing the body to ensure a better and deeper sleep. Calcium then helps rebuild and maintain healthy bone and nerve tissues, while Vitamin C & Vitamin D3 ensure all the trace minerals are absorbed efficiently in the body. 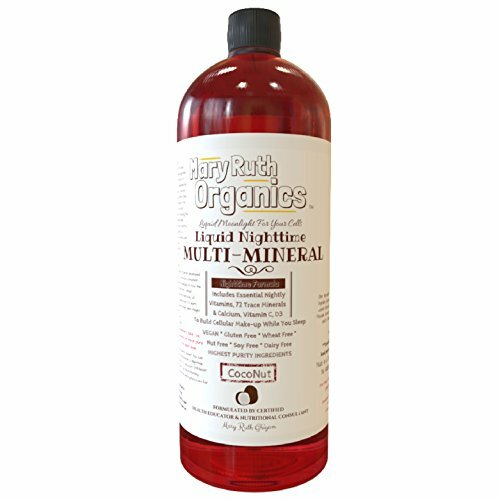 The Base of the liquid multi-mineral is TRIPLE UV Treated Deionized H20! The Liquid Coconut Nighttime Multi-Mineral is derived 100% from the Milk/Juice of the Coconut. NO SUGAR ADDED. This product is tested to be free of aluminum, lead, mercury, and other heavy metals. NEW ADDITIONS (Jan 2016): Vitamin B12 is now Methylcobalamin. OUR PHILOSOPHY & COMMITMENT TO A NON-TOXIC ORGANIC LIFESTYLE - Our vitamins are NEVER mass produced. All our products are made with absolutely: No-Parabens, No Sodium Lauryl Sulfate, NO-DEAs, NO-MEAs, NO TEAs, NO GMOs (Genetically Modified Organism), No Animal Testing, No Artificial Colors, Fragrances or Fillers. We have 24/7 Customer Service ensuring your happiness 100%. Also checkout our NEW MORNING Liquid Raspberry Multi-Vitamin for all the essential vitamins, minerals, and 20 Amino Acids your body needs during the day!